An economical and elegant meal and a perfect dish for the Guardian Service Casserole/Tureen cooker. Cottage pie, or Shepherd’s Pie as its often called, is a favorite wintertime comfort food; a traditional English meat and vegetable stew with a mashed potato crust. 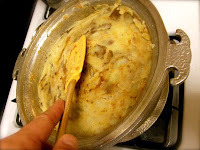 “Cottage” was a reference to the rural poor and this dish is an economical way to squeeze another meal out of leftover roast meat and vegetable odds (hash and mash). 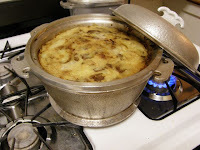 While the term “Shepherd’s pie” has become associated with the lamb variation, this recipe works equally well with any left over meats (poultry, beef, pork, venison, rabbit, etc., or a mixture), vegetables (carrot, celery, onions, corn, peas, etc.) 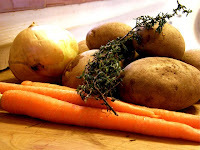 and any starchy mashed vegetable for the “crust” (potato, yam, parsnip rutabaga, even a cornmeal/polenta, etc.). A stick-to-your-ribs meal, cooked in a single dish, top-of-the-stove; easy prep and easy clean up. 1 cup stock (chicken, beef, vegetable, etc). 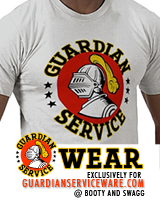 Prepare potatoes The Guardian Service Way. Remove from heat, add butter, milk and stock, mash, adjust seasoning and set aside (these can be done in advance, or leftover mash works perfectly well). In the Casserole unit, sautée the chopped onion until translucent in a little butter (or bacon drippings, olive oil, etc. I like to use a mixture of two or three fats). Cook until translucent. Add the ground meat and brown. If you wish to make an accompanying gravy you can strain and reserve excess fat and drippings, add flour to make a roux, brown and reconstitute with stock, wine, sherry or milk; set aside to accompany the pie!). Add the chopped carrots, minced garlic and additional vegetables and cover. Simmer on low heat for 5-10 minutes. Remove from heat, dust with flour, add seasonings and tomato purée; set aside. Set the larger Tureen unit over a medium flame to preheat while spreading the mash mixture over the stew. Rough up the surface a little to create peaks and valleys, and brush with melted butter. Nest the filled Casserole unit inside the preheated Tureen unit, cover and set over medium high flame, cook 30-40 minutes until bubbling. It wasn’t until we used the Guardian Service Casserole/Tureen that we understood the true meaning of the term “Dutch” oven—the modifier being a synonym for “thrifty.” The outer Tureen cooker creates a stove-top (or in the cookbooks' parlance: "Top-Stove") oven that insulates the inner Casserole cooker, keeping the food from excessive heat, baking with an economy of fuel and without heating up your entire kitchen (especially if you have an older, drafty oven as we do). Just preheat the outer Tureen unit, add the inner Casserole liner and bake any escalloped dish in the combined units. In the lead-up to WWII, the worldwide aluminum shortage apparently prompted the Century Metalcraft Corporation to switch to manufacturing glass lids. 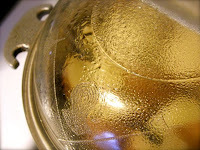 These newer glass lids provide the ooh-aah “science project fun” of watching the food’s vapor in action, but the durability of the older metal lids also offer a unique and flashy trick: Top-Stove Browning. To brown crusts more crisply (as with the Cottage Pie) set the cooker to one side of the flame, completely off the burner and rest or angle the cover so that it juts out over the flame creating a canopy that reflects the heat back onto the crust to brown it. This is a trick that takes a little patience and practice, but it’s a showy final touch before you bring the casserole directly to the table. 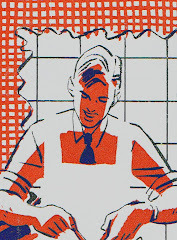 Pictured below: Using a metal lid to brown the potato crust on the Cottage Pie; an excerpt from the 1935 “Guardian Service Tested Recipes” cookbook: the method for “Top-Stove” browning through reflected heat. NOTE: We have done this with the glass lid—it obviously takes longer and is less effective (and beware that some modern reproduction lids are NOT oven proof and may not be able to withstand the direct heat). 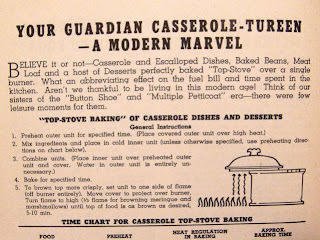 An excerpt from the 1935 “Guardian Service Tested Recipes” cookbook: the method for “Top-Stove” browning through reflected heat. I just got my 'Tested Recipe' book, and didn't quite get the browning step until I read it here. THANK YOU! Thankfully I possess metal lids as well as glass.